Home - CJR Bookkeeping & Tax Services Inc. 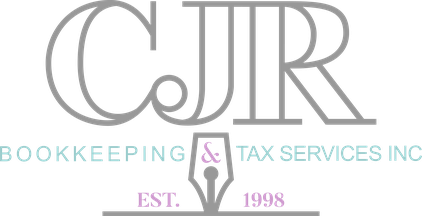 Welcome to CJR Bookkeeping & Tax Services Inc.
We are a premier bookkeeping and income tax firm in Merritt, BC. With a combined experience of almost 50 years and our hands-on approach, we successfully guide you to your financial goals. What started as a small home-based business in March 1998 has grown into a company with several full-time and part-time staff. We moved into a professional office building at the mark of our 20th anniversary in March 2018, but we've kept the friendly and inviting atmosphere of a home-based business. and to provide support for a viable and successful future. Has the CRA contacted you? Beware of potential scams.